Last month Jennifer and I made the trek to Nairobi for a week of work with a CAP-AIDS Uganda partner organisation, Kijiji Cha Upendo (KCU) – Swahili for Village of Love. 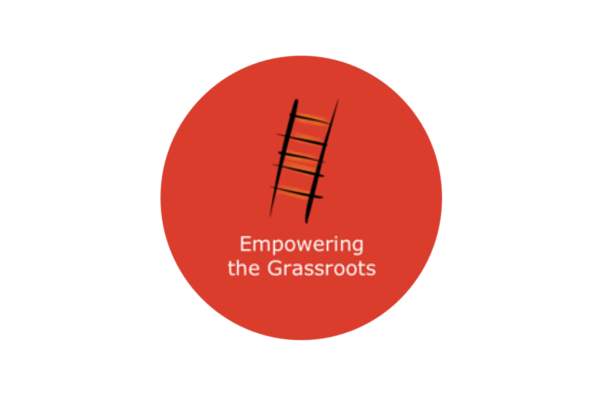 KCU is a grassroots community based organisation operating in the Kibera slum, which is home to some 1.5 million people. They work with orphans and vulnerable children (OVCs) and their caregivers. Their work includes subsidising school fees for OVCs, providing zero interest micro-loans to caregivers to reinvest in their respective businesses as well as workshops and trainings on small business management and best practices, hosting biweekly community forums where beneficiaries find support and share their experiences, successes, and challenges, and community outreaches to members suffering with various health problems. 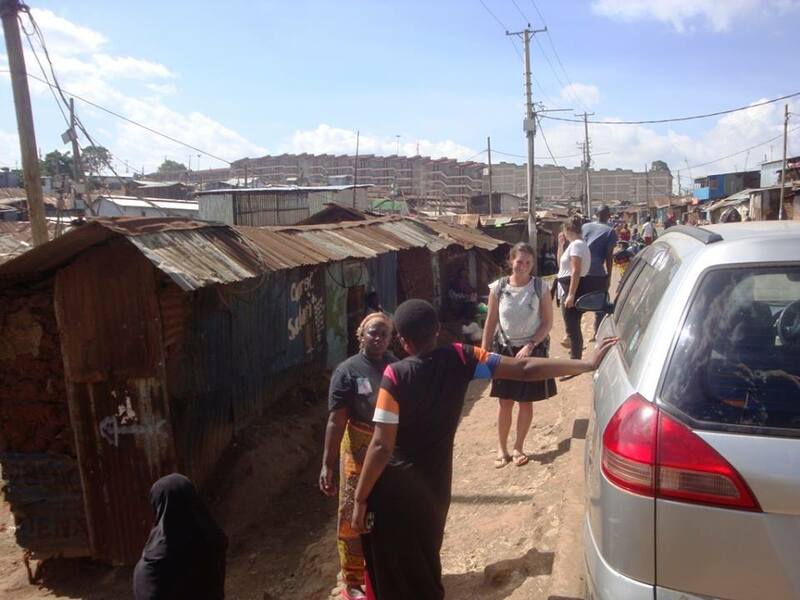 Arriving to the KCU office on day one in the heart of Kibera was quite an experience. The level of poverty is something I could never have imagined, the density of thousands of small homes cramped into a 2.5km2 space was overwhelming, and the smells from open sewage systems, batches of the local brew being boiled, and meat being grilled were potent. Yet we were met with smiles at every turn. 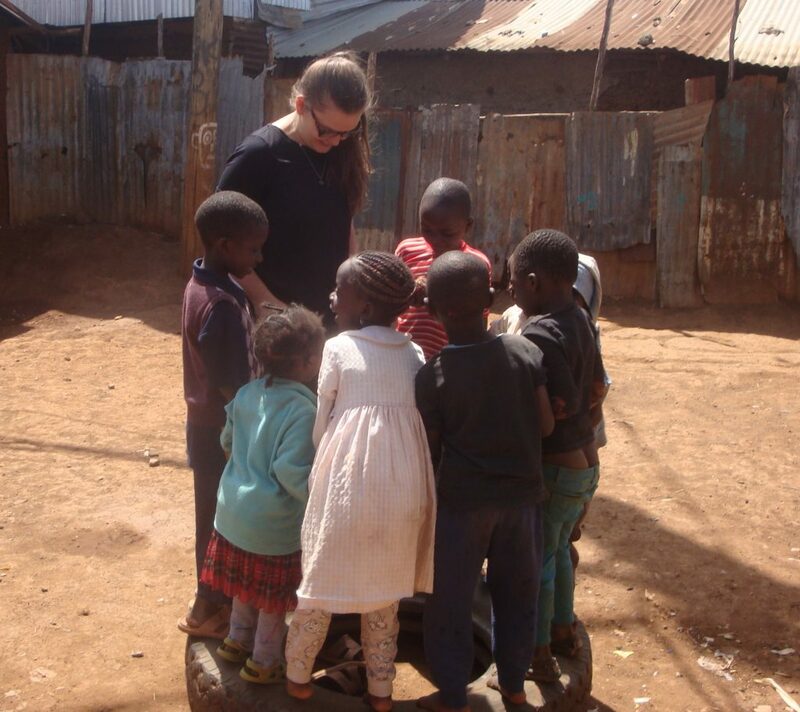 We spent the day visiting several of KCU’s beneficiaries within Kibera. They proudly showed us their places of business, warmly invited us into their homes, and introduced us to their children, many of them orphans taken in after the death of their biological parents. Even with an average monthly income of 3000-5000 KSh ($38-63 CAD) to their own families, these women take in and care for orphans, giving them with hope for a brighter future. KCU recognised how their altruism could be sustained long and through its initiatives helps build the capacity of these caregivers, gives them the ability to send their children to school full time, presents them with opportunity, through loans, to expand their businesses and bring in more income and allows for them to provide for their family and household’s basic needs. I was moved by how truly selfless these women are, by their determination to give their children they very best they can, and by their drive for accomplishment, no matter how big. The next day we worked with the KCU staff, Andrew, Moses and Leah on building their capacity. 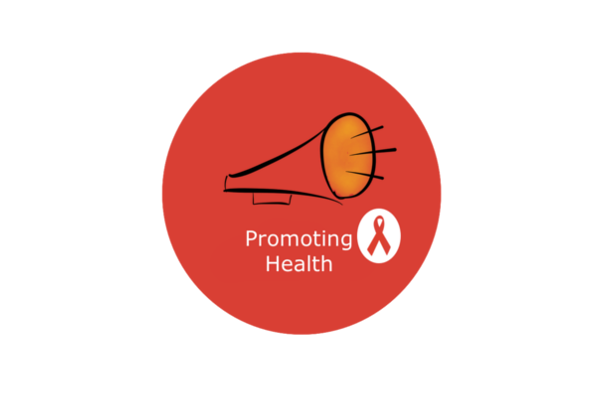 To do this, we helped them streamline their existing monitoring and evaluation tools, so they have coherent records of their beneficiaries, making reporting much easier. Throughout the day we interviewed several beneficiaries, demonstrating the use of a beneficiary tracker form, which documents information about each of them, when they were recruited, their involvement with KCU to date, information about their children and their respective school fees, etc. 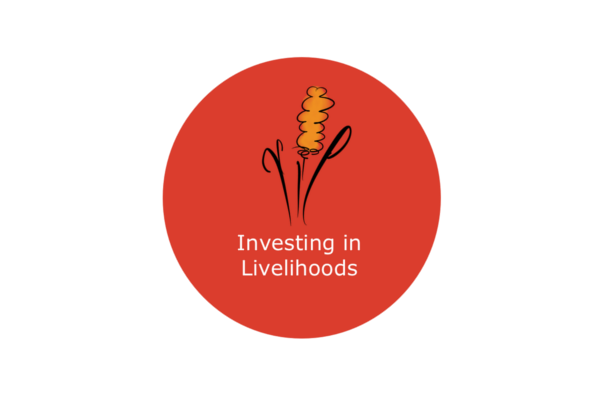 It is a great tool not only for KCU records but also for sharing success stories with funders. We also trained the staff on the use and importance of the project builder, a tool for project planning which helps outline all components of a particular project in an organised and structured way. It is particularly helpful when preparing funding and grant proposals. 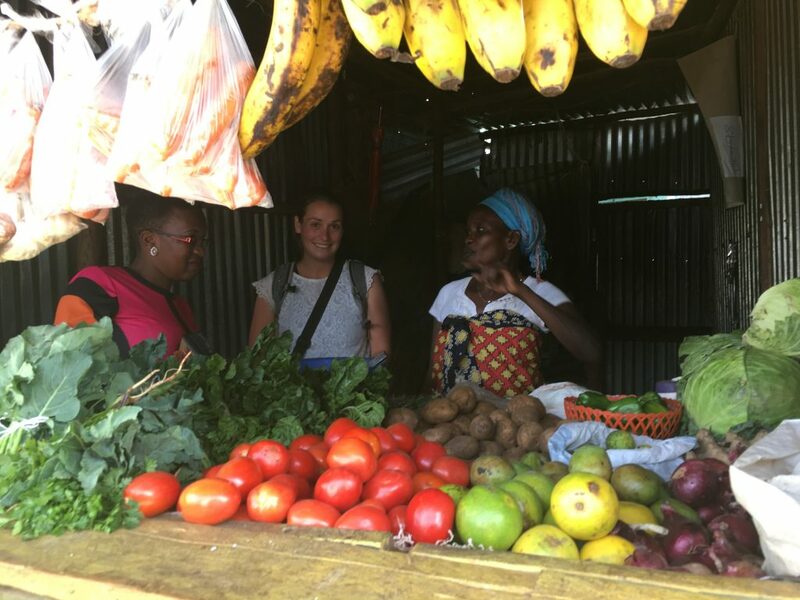 On my last day Leah took us to the Korogocho slum to participate in and learn more about KCU’s weekly community outreaches, which they do in partnership with another organisation called Women Fighting AIDS in Kenya (WOFAK). We met a few of the beneficiaries of this programme, heard their harrowing stories of struggling to feed their children while sick with various ailments, and learned how KCU and WOFAK connect them to medical services, provide support and relief in different ways, and help to break down the ever-prevalent stigma associated with some of their illnesses. Each of the beneficiaries was exceptionally grateful to both organisations for their work. 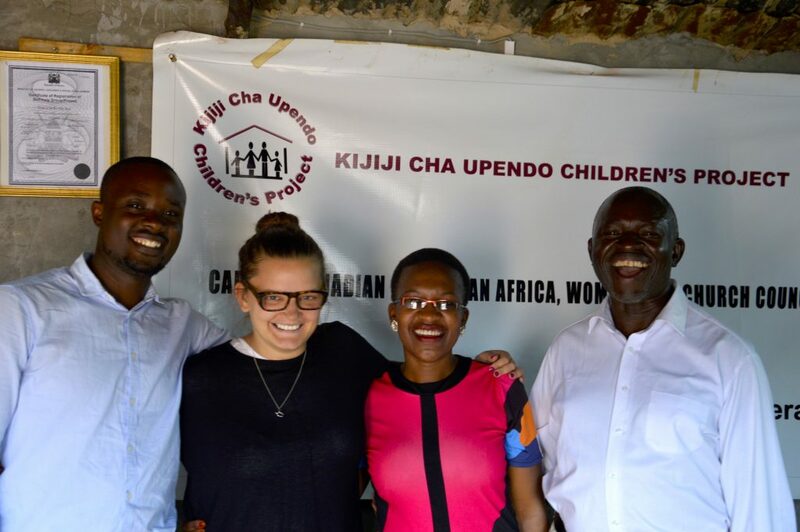 Over the week I was constantly inspired not only by the impact that a small organisation like Kijiji Cha Upendo has in the community, but also by the staff’s continuous desire to do more. I would like to thank to Andrew, Moses and Leah for welcoming and working with us and for the great work that they do.